We’ve been putting on some miles and distances lately. In less than a month we’ve been south to Ushuaia and now back about almost as far north as where we started in Buenos Aires. 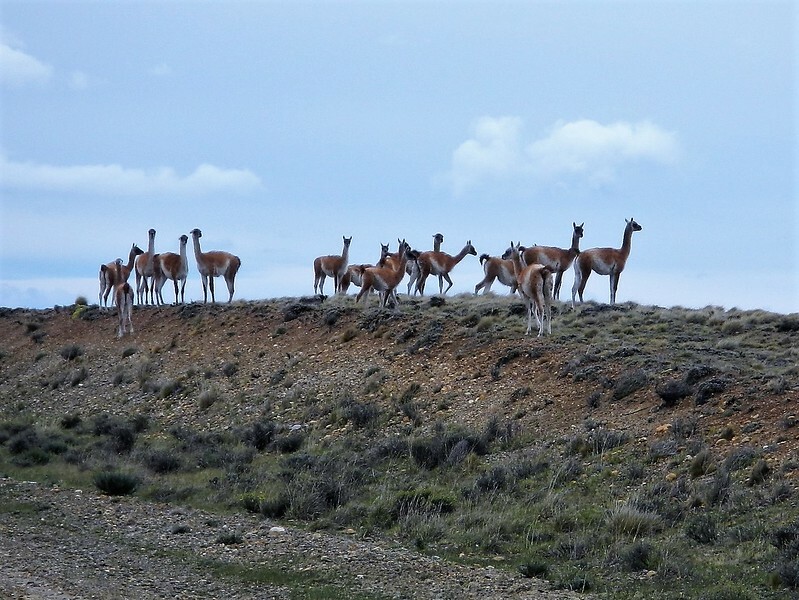 A big reason for the miles is that there is literally nothing at all in most parts of southern Patagonia. No towns, no fuel and very few points of interest other than the vast tundra-like terrain. There is no choice but make it the 200 miles to the next small settlement and hope for fuel and maybe some chips for lunch. That is our routine in this stretch. Refreshed from our stay at the Patagonia Hotel in Rio Gallego we fuel up the bikes and head west. 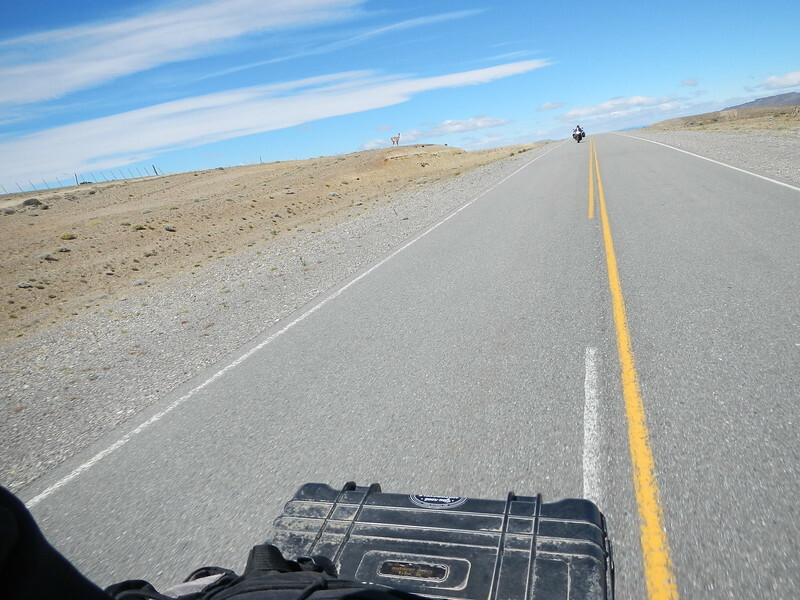 Our goal is to cross into Chile and ride the famous Ruta 7, the Carretera Austral, or Southern Road. First we need to traverse the vast southern pampa. We head northwest in ever increasing winds and soon our bikes are leaned over at insane angles. There is no way to take a picture. We can’t stop because we will get blown over, I can’t get my camera out of my pocket while riding because it would be an instant crash. I’m thinking about how nice it is to wear down the sides of our tires and save the middle parts for later. Mostly I’m thinking about hanging on. I’m trying to talk to Deby in the helmet radios but the wind noise is too loud. Just hanging on. Sometimes the road would bend and the wind would shift to be a headwind so I tried to take a few pictures. It’s maybe like Highway 50 in Nevada the “Loneliest Highway”, but lonelier, and flatter and boring-er. I did get some good Guanco pictures, there were more of these than ever. At least it wasn’t raining. 268 miles and 7 hours later we were arriving at the wonderful city of Gobernador Gregores or Governor Gregoire the 22nd governor of the state of Washington. Remember that place? The place where we waited for gas for 4 hours? Amazingly enough this time there was fuel and we managed to find a better place to spend the night. If anyone else gets stuck in this city I would recommend the Lago Cardiel Hosteria. Basic accommodations but nice people and a good restaurant. 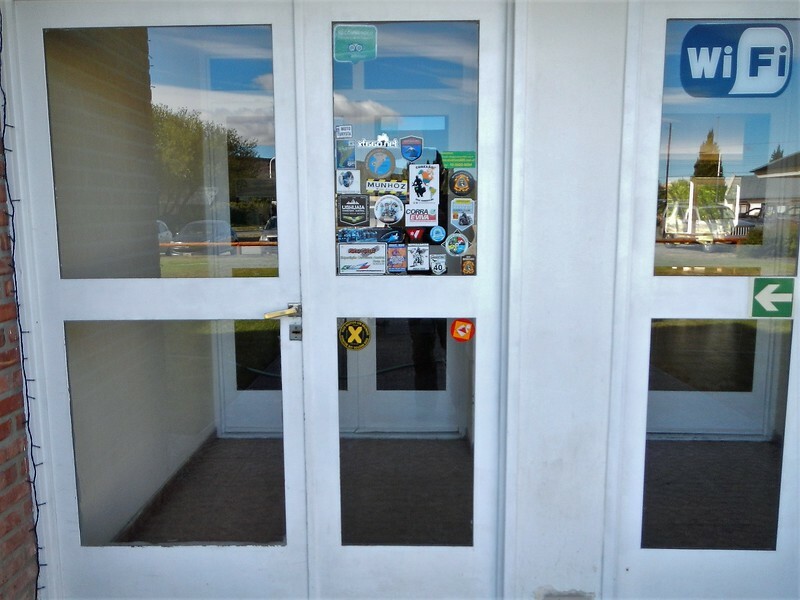 They let me tag the door with a sticker. 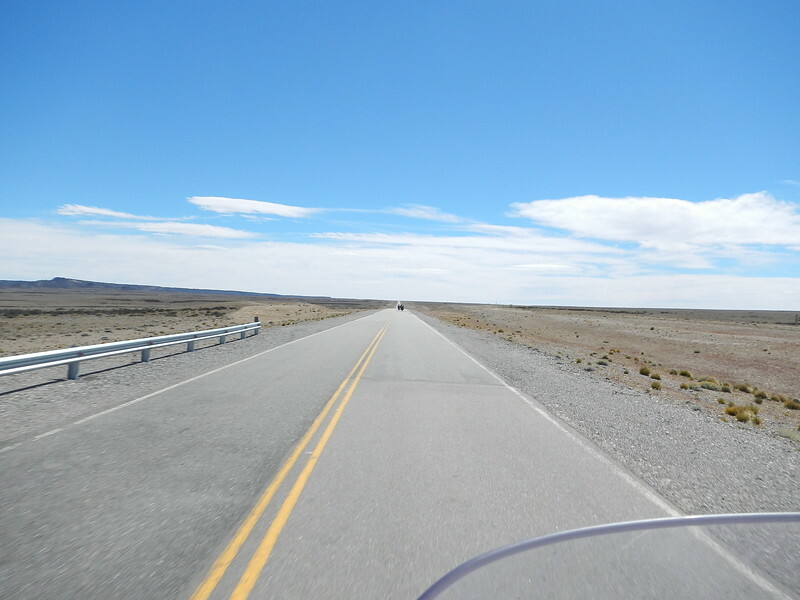 More pavement pounding north and west, this time back to Perito Moreno, a small dusty cow town (Moon tour book’s description not mine). The only claim to fame of this city is a reliable gas station. Distance for the day 222 windblown miles without even a gas stop, once again stretching our fuel capacity. The wind was slightly less so I took a one handed over the shoulder picture of Deby, still we were both leaning over. Along the way we saw a few other ADV motorcycle riders and usually we wave and move on. At one point we were on a short stretch of gravel road and someone on a big BMW 1200GS coming towards us is waving me down. I stopped hanging on in the wind and he is asking in Spanish if I have any extra fuel, he doesn’t have enough to get to the next city. I’m thinking about this…. we are on the same stretch of road, going the same distances with motorcycles with about the same range. Wouldn’t I need my extra fuel? He seemed desperate so I agreed to share my extra 5 liters. He thought he could make it with half that amount so I gave him half and dumped the rest into my bike. Got my good deed for the day in. We stopped at the small station in Bajo Caracoles that we were able to get fuel on our way down and they were out. We parked at the pumps and went inside for our usual midday lunch – chips and Gatorade, yum. 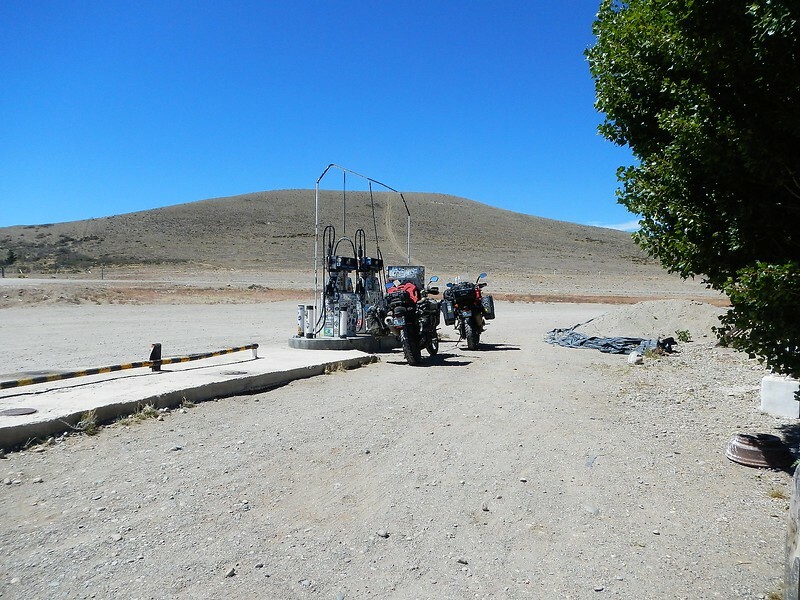 We knew it would be close getting to Perito Moreno with the fuel we had so we dumped the rest of the extra fuel in the tanks and hoped for the best. 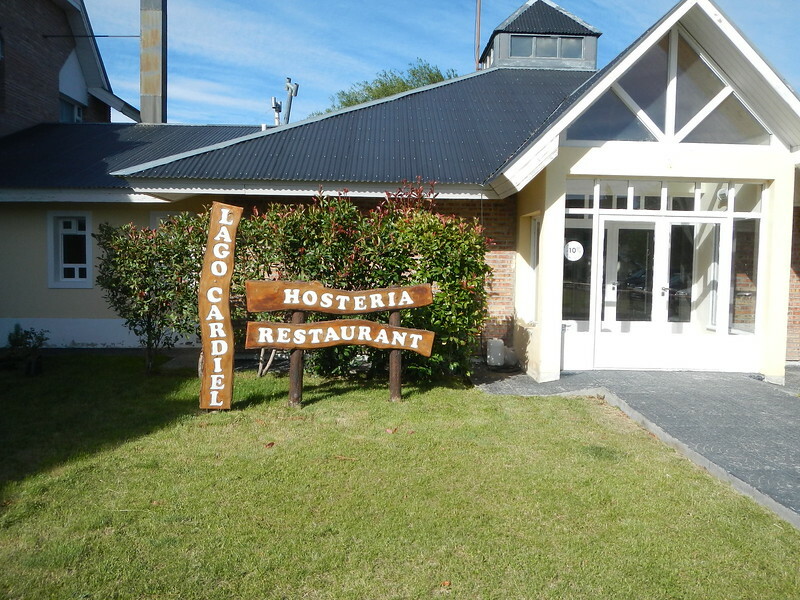 Sure enough, we made it to Perito Moreno and stayed at a slightly better hotel, the Americano. Nothing fancy but a surprisingly good restaurant where we sat and chatted with some kids from England off travelling on sabbatical for a year. They keep a blog that may be of some interest here: https://deargeorgieboy.com/ I found it interesting how many Europeans are able to manage a year off for travel. We had a long discussion at dinner about the differences between Americans and Europeans attitudes about taking time off of work to travel. They all think we work too hard. This day would end our trek through the Argentina side of Patagonia, the next day we crossed into Chile and everything changes, like two different worlds to be sure. I’ll save that for the next post – it’s a good one. 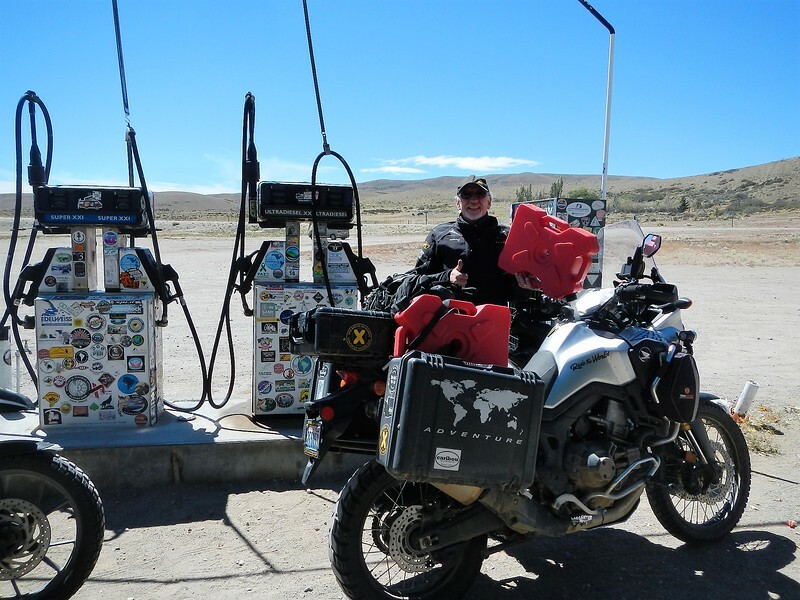 This entry was posted in 2017 Argentina, 2017 Motoraid III, Dual Sport, MotoRaid III, Motorcycle Adventure by donnh. Bookmark the permalink. I’m glad to see your motorcycles are holding up well. That’s some mighty hard riding with the side winds. I’m so glad you are getting into more scenic territory. is there a tracking map I can pull up on my p c to see where you have been? Man, you two are truly superhuman ! Can’t wait to read the next installment. Be safe.